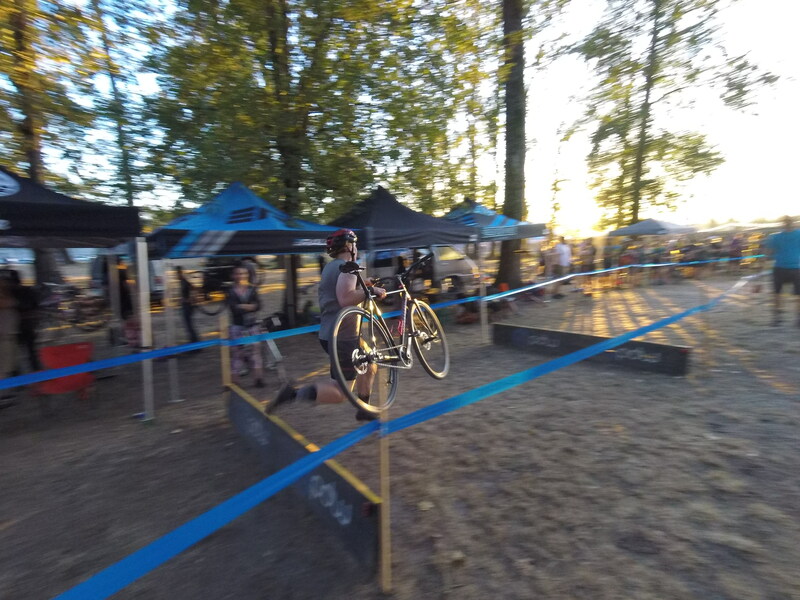 Portland has a history of a strong cyclocross racing community. 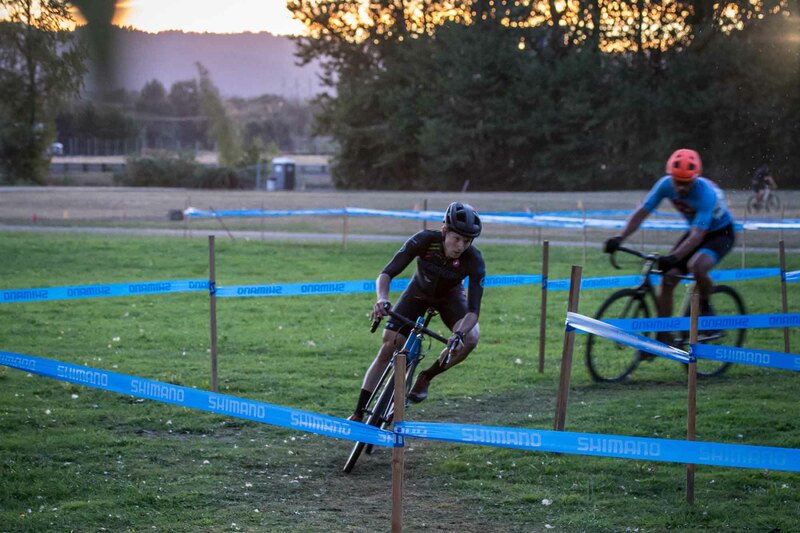 The legendary Cross Crusade (now called the Cyclocross Crusade), GP, and Blind Date are a few that see high attendance and excellent courses. Our favorite, however, is the PDX Trophy cup. 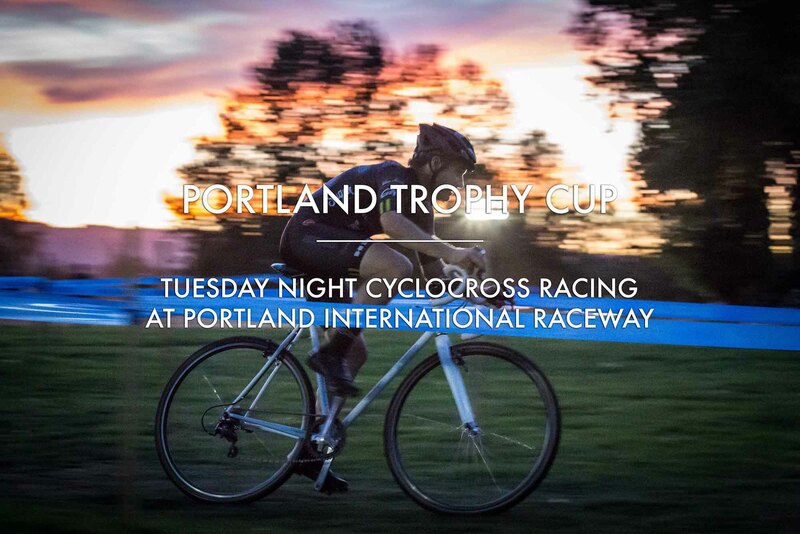 PDX Trophy Cup, or Trophy Cup for short, is held on Tuesday evenings from September 12th to October 10th at the infield at Portland International Raceway. As the series progresses the sun sets sooner. 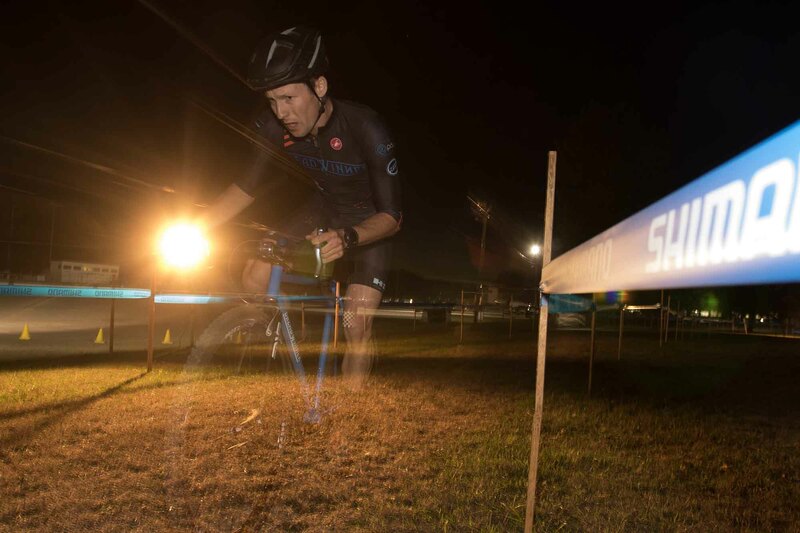 The promoters set up lights and generators to light up as much of the course as possible. They do a great job. 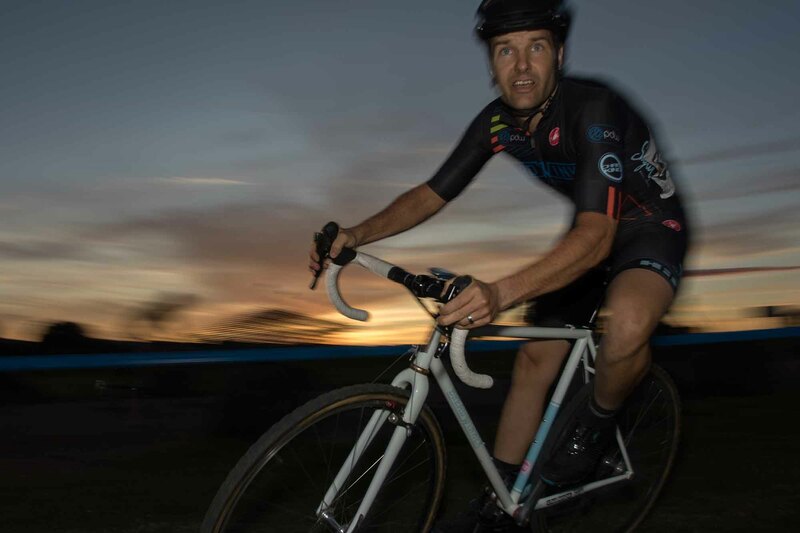 The moody dusk colors and twilight mark a romantic and energy filled backdrop for sprinting, carving and heckling. The terrain is mainly grass and gravel. There are a few small hills and a mellow levy bank that are well utilized to make technical corners. Speaking of corners, the corners are actually the best part. During the series, the weather is still typically mild. This makes the dirt/grass tacky and the corners fast. One of the best things about Trophy Cup is it’s proximity to town. PIR is only 6 miles from the Breadwinner Cycles. The turn out is great, the atmosphere is fun and people are always down to group up and get burritos afterward. Our friend Joe rocking the barriers. • It’s on a weeknight. • It’s close by. 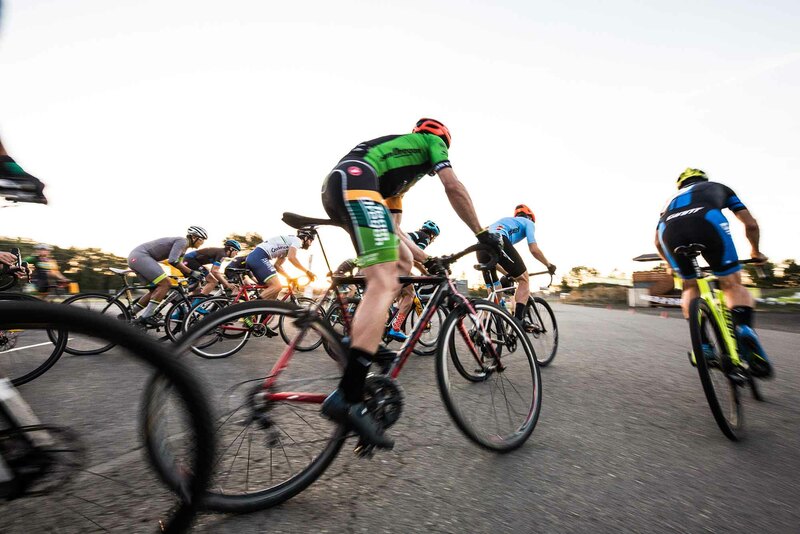 Portland International Raceway is 6 miles from Breadwinner Cycles/Cafe. • It’s at a city park (Yes, PIR is a city park) and it allows beer and dogs. • New teammates, Josh and Stephen, taking the podium 1 and 2! • “The Special” at Burrito Azteca after the race.